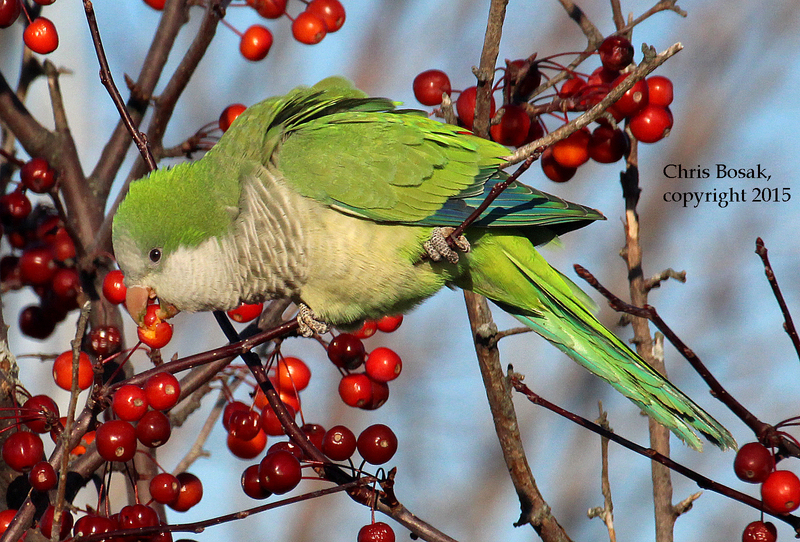 A Monk Parakeet seen eating crab apples at Calf Pasture Beach in Norwalk on Sunday during the annual Christmas Bird Count. 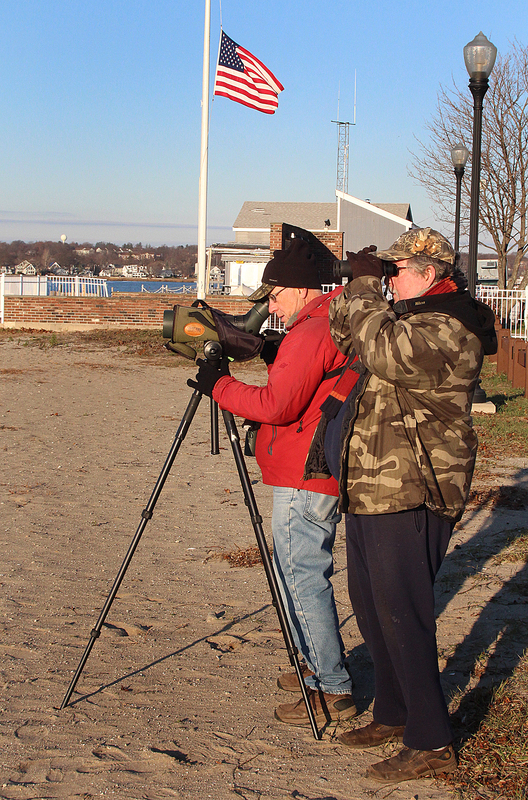 Here are some photos of the annual Christmas Bird Count held locally (Westport, Connecticut, Circle) on Sunday. I did the Count with old friends Frank Mantlik and Larry Flynn. Highlight species included: American Woodcock; Orange-crowned Warbler; Nashville Warbler; Northern Shoveler; Gray Catbird; and Wood Duck (about 12 of them). The above bird is indeed a New England bird. Well, at least it is now. A group of Monk Parakeets bound for the pet stores were believed to have escaped from JFK airport and established wild populations throughout the coastal regions of Long Island Sound. Some people don’t like them because they are non-native and very noisy. They do make good photo subject on occasion, though. 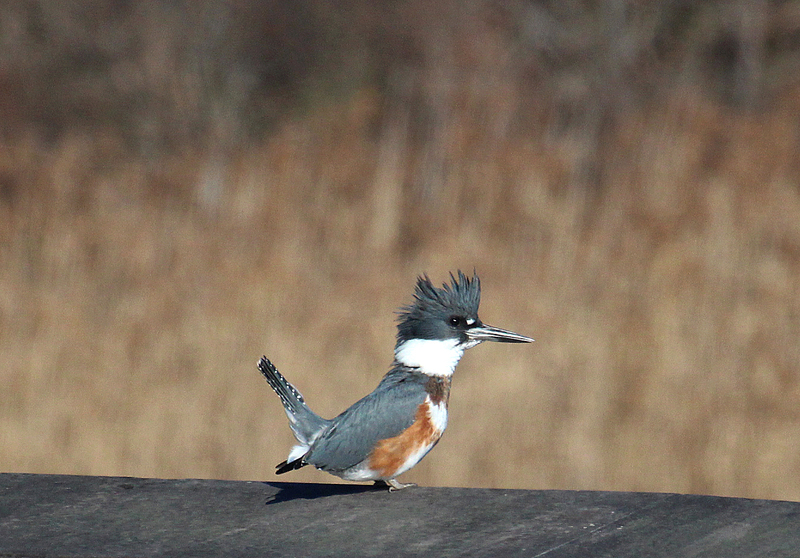 A Belted Kingfisher seen near the Maritime Aquarium at Norwalk on Sunday during the annual Christmas Bird Count. 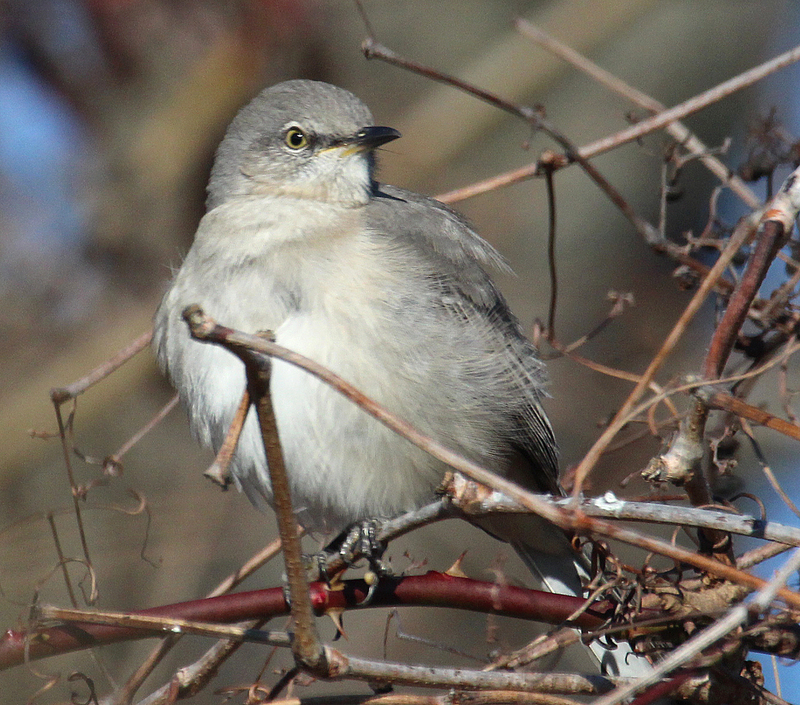 A Northern Mockingbird seen Sunday at Taylor Farm in Norwalk during the annual Christmas Bird Count. 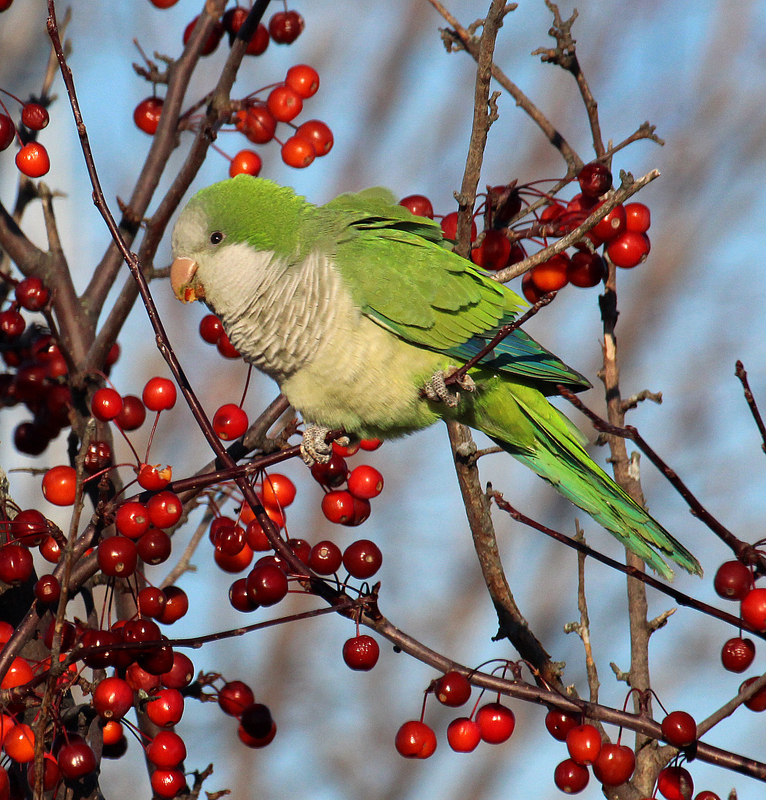 A Monk Parakeet seen eating crab apples at Calf Pasture Beach in Norwalk on Sundayt during the annual Christmas Bird Count. Frank and Larry scan Long Island Sound. 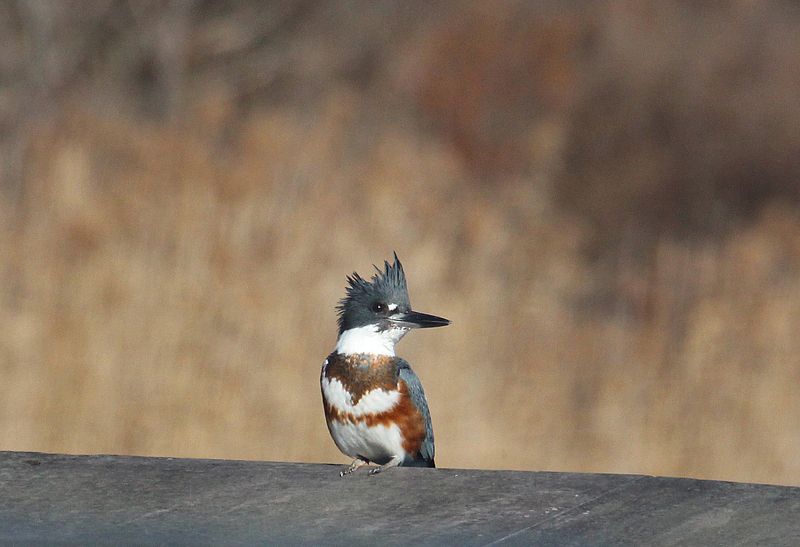 This entry was posted in Christmas Bird Count, Long Island Sound, Uncategorized and tagged Belted Kingfisher, Christmas Bird Count, Monk Parakeet, Monk Parakeet eats berries by Chris Bosak. Bookmark the permalink. Do continue to enjoy your work. Especially the photos. Would still like you to write a column on your photo taking and the equipment you use. Thanks Jim. Merry Christmas to you, too. Hi Chris — Your photos & posts all through 2015 have made it a happier year for me. Hi Susan. Your positive comments and support have made my year brighter as well. Happy holidays, Susan.